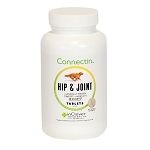 Connectin Hip and Joint Powder - New Look! 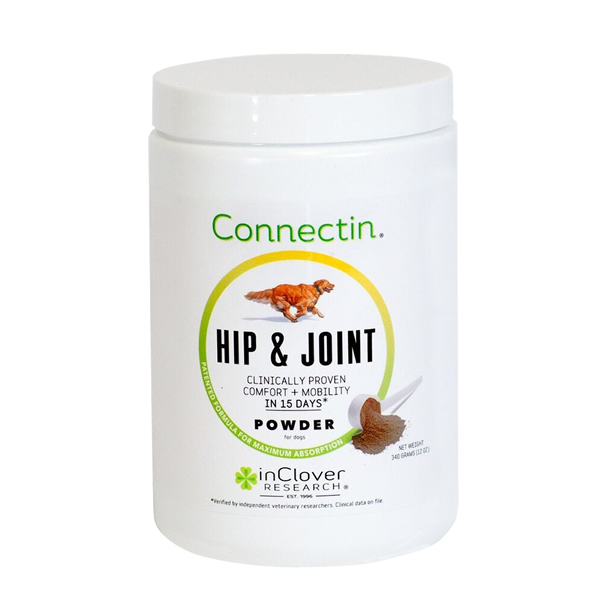 Connectin Powder by In Clover is a joint supplement for dogs that contains glucosamine and chondroitin to help reduce inflammation and joint pain. Each jar contains 12 oz. powder (340 g.) . 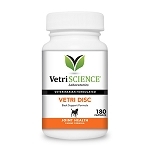 Also available in 50 count tablets, 100 count soft chews and 150 count tablets. 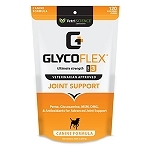 Glucosamine HCl - 625 mg.
Mucopolysaccarides (porcine source of chondroitin sulfate and hyaluronic acid) - 1200 mg.
Yucca Root - 1200 mg.
Nettle Leaf - 300 mg.
Devil's Claw - 100 mg.
Celery Seed - 50 mg.
Black Cohosh Root - 50 mg.
Ginger Root - 50 mg.
Cayenne Pepper - 5 mg.
Inactive Ingredients: Natural porcine liver flavor. Each jar contains 12 oz. 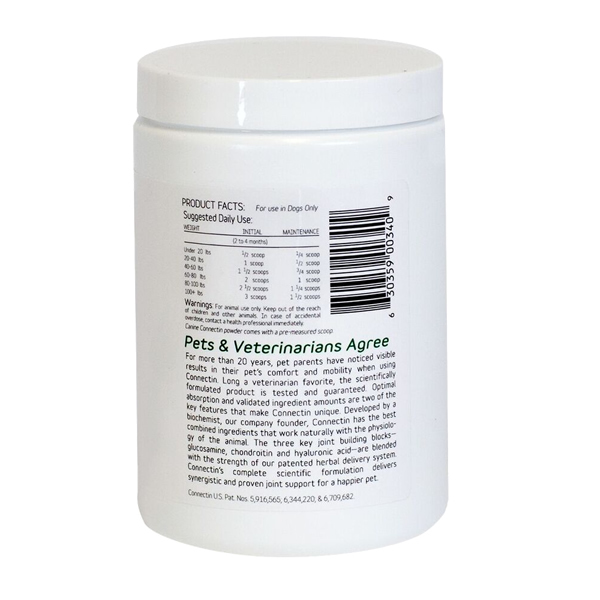 powder (340 g.) . 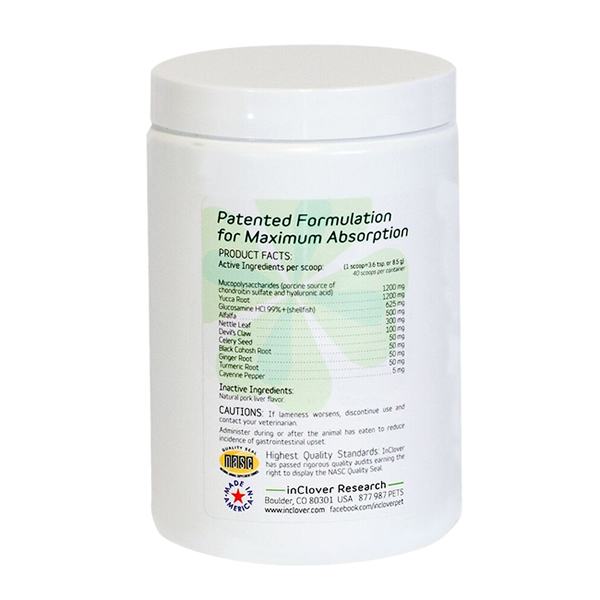 Also available in tablets: 50 count and 150 count.